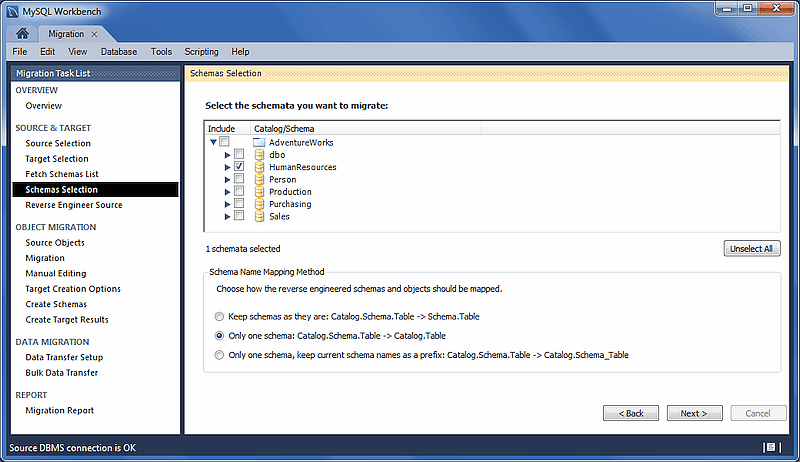 Retrieve a list of available databases and choose the specific databases (and tables) that you want to migrate to MySQL. The Schemas list is retrieved from both the source and target RDBMS. The account used for the connection will need to have appropriate privileges for listing and reading the schemas you want to migrate. 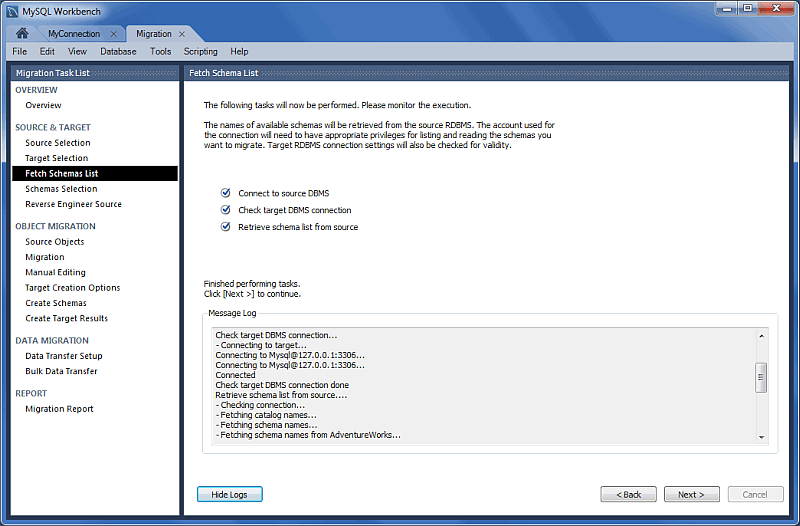 Target RDBMS connection settings will also be validated. This is an automated and informational step that reports connection related errors, general log information, or both (see the figure that follows). The steps that are performed include: connects to the source DBMS, checks the connection, and retrieves the schema list from the source. Choose the databases you want to migrate over to MySQL. This example uses Microsoft SQL Server as the source RDMS. Although the options will be different for other database systems, the concept remains the same. Only one schema: Catalog.Schema.Table -> Catalog.Table: Merges each schema into a single database (see the figure that follows).